We buy digestive biscuits regularly even though its costly.Every time I used to see the list of ingredients on the back of pack to try on my own.And I kept searching some good recipes for homemade digestive biscuits aka whole wheat,oats cookies. In Raksha’s school, this year they have strictly restricted store bought cakes, cookies and packed juices for snacks box. Only homemade digestive cookies are allowed. Finally time hath come to try my hands on it .I followed this recipe & I baked an eggless, butter less digestive cookies using whole wheat flour, quick cooking oats and plain milk.For Vegan version, use almond milk instead. Actual recipe had butter in it. But I substituted butter with cooking oil and tried it today.You can call this as oats cookies too.It came out very well, perfect with a crunchy texture. We loved it very much & ate 2-3 cookies without any guilt . Its so easy to make and a good tea time cookies for weight watchers.For kids, you can use butter, add some Choco chips, M&M etc for variations. After tasting these cookies, Raksha told its taste is similar to UNIBIC digestive biscuits . 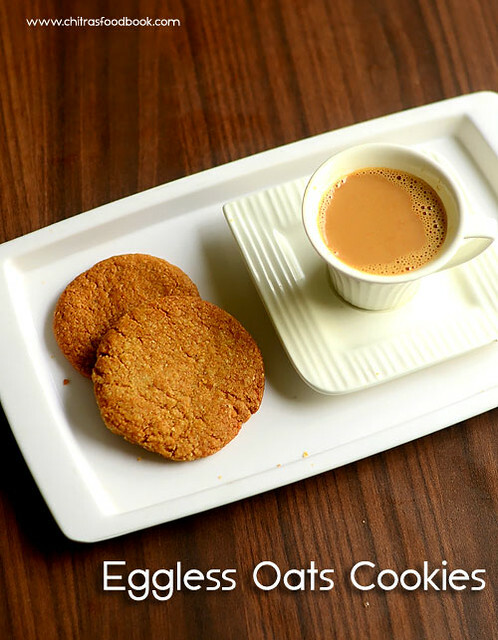 I felt very happy and proud with my baking .Friends, do try this easy, simple oats cookies without eggs and butter at home & enjoy it for your tea time with your loved ones. Even beginners can dare to try it. Ok, lets move on to the recipe ! 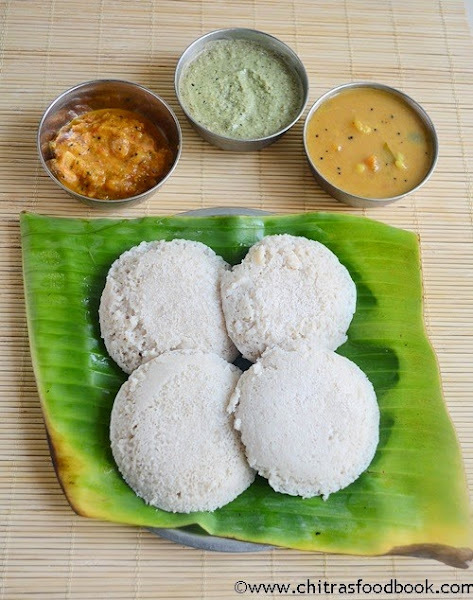 Oats idli with wheat rava and vegetables is one of the healthy breakfast recipes for people who look for weight loss.I have been making this idli for years and somehow i have not posted this in my blog. Oats pongal and Oats idli are the recipes i make very often in my kitchen whenever myself and Sendhil opt for diet recipes.Usually i nake this Instant idli along with tomato mint chutney for his lunch.It stays soft for hours and it is his favourite lunch box recipe too .I must thank Sharmilee from whom i got this idea of using wheat rava. Earlier i used to make it using white rava like rava idli.I have used Quaker brand Indian Oats here.Ok,Lets see how to make healthy Oats Idli recipe..
Dry roast oats in a kadai for 2-3 minutes in medium flame.Powder it nicely. In a kadai,heat oil and temper all the ingredients given above in the same order.Add the grated carrots,cabbage and peas.Saute for a minute.Now add the wheat rava & powdered oats flour.Roast for 2 minutes.Add salt and remove.Let it cool for 10 minutes. Then add curd,water and make a thick batter like idli batter. Add Eno fruit salt,coriander leaves and lemon juice.Mix well.Grease the idli plate and pour the batter. Steam in a idli pot for 15 minutes.Check for doneness by inserting a knife or spoon. Remove and enjoy eating hot. I prepared oats uthappam for the first time. We loved it a lot. So i thought of posting here. I got the recipe from sailu’s food. I made little changes to the original recipe.I did not add eno salt . 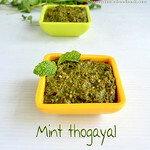 Still it was so soft & tasty .Try this, u’ll love it for sure..We relished with coconut chutney ! Remove the sides of bread slices. Powder the oats and bread slices together. Take this powder in a wide bowl and add the rice flour , semolina, sour curd or buttermilk , salt , ginger pieces , green chillies ,coriander & curry leaves. Add water and bring it to dosa batter consistency. Take the dosa tawa, heat it and add a ladleful of batter. Do not spread it. make it like a pancake. Drizzle little oil around the sides.Now spread the onion slices as topping. 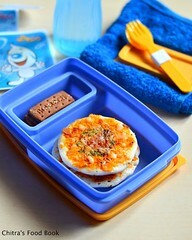 Cover it with a lid for few minutes. Then open the lid and carefully flip the dosa. Keep the flame high and cover cook for few more minutes. The onions will turn brownish with a nice smell. Now remove the uttapam and serve hot with coconut chutney.. I din’t use eno fruit salt or soda. It was still soft. Add it to get spongy soft uthappam. There are numerous choices for topping. 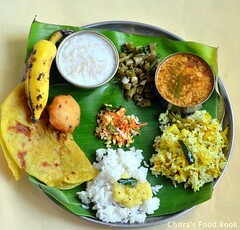 U can add all the vegetables along with onions too.cashews and other nuts can be added for nutty uthappam. I mixed ginger , chillies and coriander leaves in the batter itself.U can add it as topping separately. If u don’t have sour curd , add 1/2 cup buttermilk or fresh curd. One more easy way of making uthappam with left over dosa batter is..
Add 1 cup of powdered oats to 1 cup of left over dosa batter and mix ginger , green chillies , finely chopped onions , curry & coriander leaves.Add little water if needed.It will also taste the best.U may feel its sticky & uncooked but it is not so. Its softness makes u feel like tat. If u want u can reduce the amount of oats and try !! I make this oats dosa once in a week.This dosa will be crispy in the edges and soft in the middle. The crispness of this dosa lies in the consistency of batter like rava dosa.Adding more water makes it look dry.So add the water correctly.Wheat flour & oats gives the softness.. Do try this healthy dosa for breakfast or dinner. It tastes great with coconut chutney. I tried idli podi using horse gram as an accompaniment for this dosa which i’ll post soon ..Make this dosa & serve immediately for better taste. Oats tastes the best when it is eaten hot ;) Lets see how to make Instant oats dosa with Indian oats ! Add the pepper corns, jeera , chopped ginger , curry leaves and coriander leaves. Add the sour butter milk , salt and mix well..Add the required water to adjust the batter consistency. 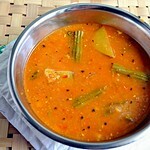 Heat the dosa tawa and sprinkle little oil ..
Then pour the batter in a circular motion from the corner towards the center. Fill the gaps by sprinkling more batter. Drizzle little oil around the dosa and keep the flame high for few secs. The corners of dosa will lift automatically. Now flip the dosa and reduce the flame. Cook for sometime and remove. 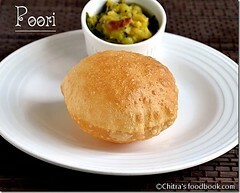 Enjoy with any chutney or podi !! I usually dry roast the oats for few mins and then powder it.This time i powdered without roasting which also tasted good.So roasting is optional but it gives an additional flavour. Adding finely chopped onions is purely optional. I don’t add it. U can also add crushed pepper corns instead of adding whole ones. U can make this dosa by adding rice flour & sooji along with oats. Ragi flour can also be added instead of sooji to get the crispness.This makes the dosa healthier but the color of the dosa will be black. Batter should be watery . 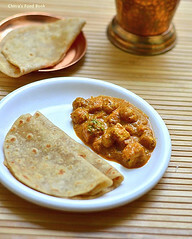 If u make the first dosa, u’ll get to know how much water has to be added to get crispy dosas. Add water and adjust the salt . Nowadays i am making oats buttermilk porridge and oats- wheat rava idly for my hubby very often. I wanted to try some other simple and yummy dish with oats. Last weekend i tried this for our breakfast . 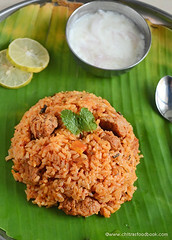 I got this recipe from aval vikatan supplementary. It was very nice. The actual recipe called for grinding , fermenting and all. But i made an instant paniyaram with little left over idli/dosa batter. The taste was awesome. 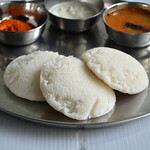 It was like the usual one we make with idli batter.We loved it. 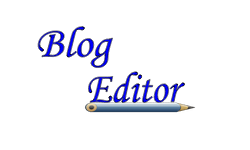 Try this and let me know.I’ve also written the actual recipe at the end of the post.Please have a look at it. Dry roast oats for few minutes and grind to make a fine powder. Mix idly batter and powdered oats with the required salt and water. The batter should not be too thick. Temper all the items given above and mix in the batter. Take a non-stick paniyaram pan and pour the batter. Drizzle little oil if necessary. Cover and cook for sometime. Flip and cook the other side for few mins. Delicious oats paniyaram is ready to savour with coconut chutney or any other chutney of ur choice !! This paniyaram would be very soft inside . So dont think its uncooked. It cooks very fast just like our normal paniyaram . Just cover and cook in sim fire for sometime. Its enough. I dont like the smell of oats to be dominant here . So i’ve added equal quantity of oats and idly batter. U can lesser the amount of idli batter and try. Sometimes the sourness of batter may reduce if u add oats. Add little sour curd if needed. The same ingredients as mentioned above. 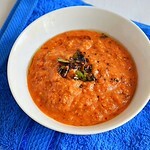 Soak the urad dal for 30 mins and grind with oats in a mixie .